The lost 19th-century graveyard established by Richard Allen, founder of the African Methodist Episcopal Church, and utilized heavily by the city’s black community until shortly after the Civil War, has been named a National Historic Site by the federal government. Bethel Burying Ground now joins a handful of city graveyards – Christ Church Burial Ground, Old Swedes’ Church Cemetery, Mikveh Israel Cemetery, the Woodlands – on the national register. The graveyard, beneath about a third of the three-quarters-of-an-acre playground in the 400 block of Queen Street, is owned by the city. More than 5,000 18th- and 19th-century African Americans are buried there, members of the city’s and nation’s “founding generation,” in the words of Richard S. Newman, director of the Library Company of Philadelphia and author of Freedom’s Prophet, a highly regarded biography of Richard Allen. Planned work includes “new play equipment, a spray park, new seating and trash receptacles, repairs to the perimeter fence, renovations to the portion of the tennis court not located over the burial ground, and a garden to manage storm water,” according to a December email from Everett Gillison, then-Mayor Nutter’s chief of staff. Certaine, not happy with the process so far, argues that the city, owner of the site for more than a century, has ceded decision-making to local neighbors and officials at Mother Bethel AME Church, Richard Allen’s home base at Sixth and Lombard Streets. The cemetery “needs to be treated as a taxpayer-owned historic site” belonging to the whole city, he said. The city has failed to consider the broad historical relevance of Bethel, Certain said. “Until the public understands the historic value that this site represents to the African American community, nothing positive will be done to protect and preserve it,” he said. But the Rev. Mark Tyler, Mother Bethel pastor, believes that the community center potentially could be part of an interpretive plan informing visitors – and children using the playground – of the significance of the cemetery. He said that, in the last 18 months, a crack has appeared, running from roofline to the ground and extending out onto the asphalt west of the building. A new roof-to-ground crack was noted last week on the building’s south side. 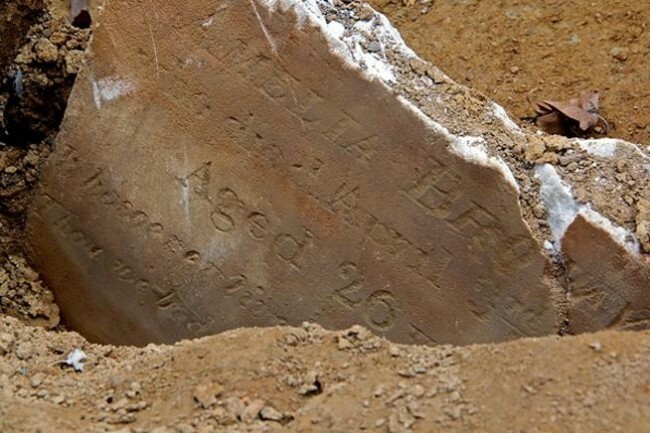 “I’m very concerned about water seeping through the cracks and down into the graves,” said Buckalew. “You need an engineering study to proceed safely,” Buckalew said.